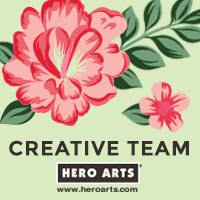 For my card today I am using the new Sweet Rose stamp set. It is so pretty! It has some beautiful rose images as well as some pretty sentiments. I have first taken the outline rose image along with the bottle and stamped those out. The bottle is stamped in Memento Fog ink and the stem and rose is stamped in MFT Grout Gray ink (my new favourite ink to do the no-line colouring technique with Copics). I then coloured them in using my Copic Markers. I have stamped the beautiful sentiment from the set in black ink and then mounted the panel to a white card base. I have finished off by adding some dots of colour around (I just couldn't do splatters so I did controlled spots using my Copics!) and some Wink Of Stella. COPIC MARKERS: V99, V95, V93, V91. YG04, YG08, G21, G24. B91, BG70, C1, C00. T2, T1. Thank you so much for visiting me today and also for all the lovely get well messages. My June haul video(s) will be up soon, sorry for the delay in those. 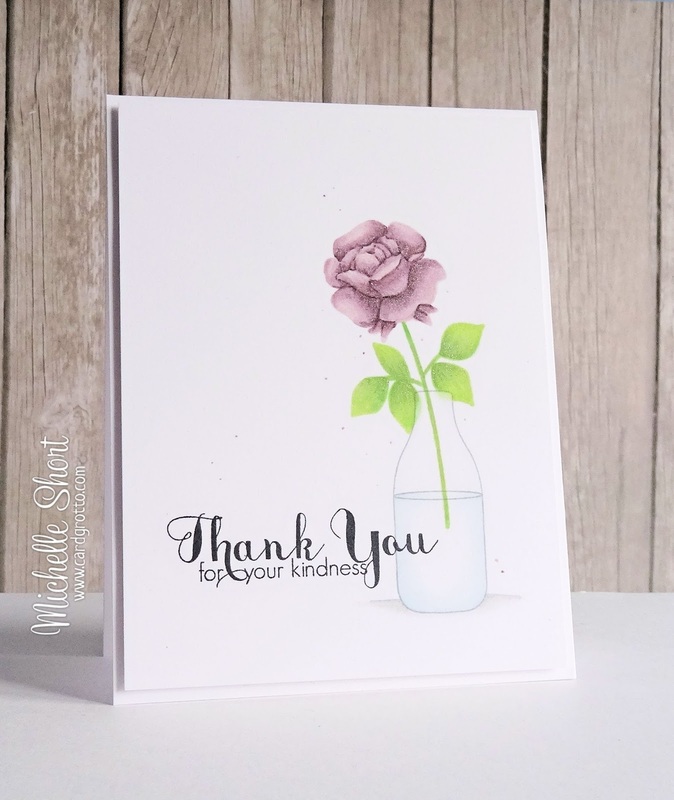 Please visit Stephanie's blog to see her amazing samples as well as links to all the DT sharing their amazing samples today as well. See you tomorrow! Elegant, delicate, gorgeous! Your showcase of this new set is nothing short of fabulous; nothing short of irresistible! And here was I wondering how you managed to avoid the usual black outlines. Thank you for the tip with the MFT ink, I've heard great things about this brand and seeing that it also works with Copics, I'll give it a try. 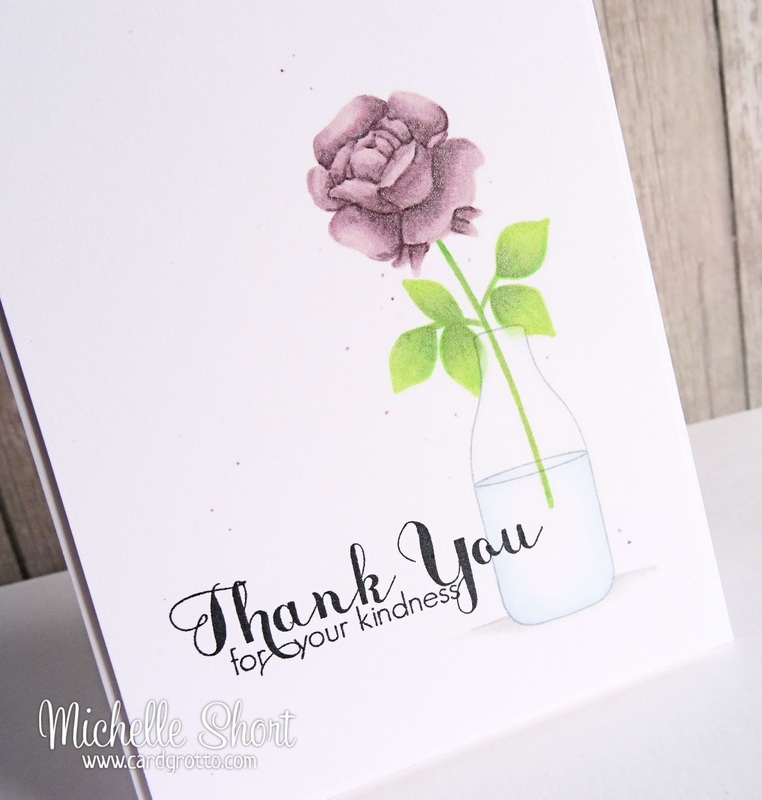 Beautifully colored, thanks for sharing your card! Totally stunning Michelle. I LOVE the image and sentiment. Your colouring is amazing! I'm in agreement with the others, what stunning results. 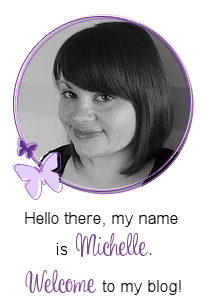 Wow, Michelle, your card is simply gorgeous! Love your Copic coloring! Michelle,this card is stunning!! WOW! I love...love your coloring!! That rose is gorgeous! I'm loving the sneak peaks. Can't wait to see the full releases. Gorgeous card, Michelle. This rose image is absolutely perfect. Love it! This is gorgeous, your colouring is fantastic, love it!